We are a small company based in Mornington, Victoria. Each kitchen we design is approached with an emphasis on design and practicality. We consistently strive to find new solutions and ideas to create a kitchen suited to the client needs. We pride ourselves on our customer service, using high quality materials and providing top quality workmanship. We are a Kitchen showroom with an over 20 years experience in the industry. We design to the need of our customers looking at the whole project Holistically & then come out with a few options which will suit the design of the whole house. 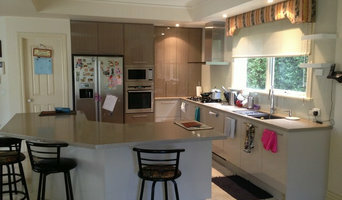 Kitchens 4 Less aims to deliver premium quality designer kitchens at an affordable price. Having designed hundreds of kitchens and being featured on channel nine's "The Block", we are confident our designer will deliver the best solution for your kitchen. We offer a free in-home design service with a professional designer and use the latest state of the art kitchen design software to bring your project to life before you get started, showing you plans, elevations and perspectives of the new kitchen. 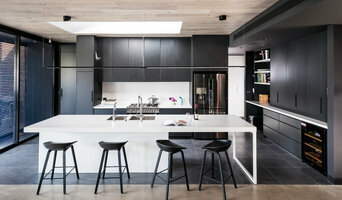 Melbourne based design studio in Hawthorn. Specialising in contemporary kitchens | bathrooms | laundries | alfresco joinery & residential spaces. Rachel works personally with all her clients from start to finish. 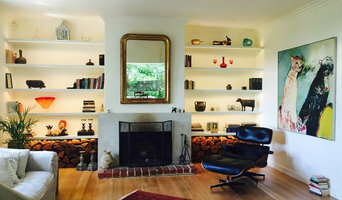 Small renovations to full interior design build projects. We work with trusted cabinet makers, stonemasons & registered builders to ensure quality work. Eurocucina are the Australian supplier of the leading Italian kitchen manufacturer Snaidero. Eurocucina are also part of the Moorabbin Group’s established network that includes qualified designers, draftsmen, tradesmen, logistics & local manufacturing capabilities. Eurocucina specialise in the Design, Procurement, Distribution & Installation of the Italian made Snaidero kitchens. 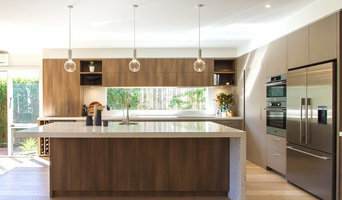 At Kitchen Shack, we are dedicated to making your diy kitchen a reality by providing high quality fully assembled kitchens, cabinets and benchtops in all over Victoria and Melbourne. Concept to Completion, MAYD simple. WHY DO THINGS AS THEY’VE ALWAYS BEEN DONE? Interior renovations, MAYD with a twist. Renovating is hard. It gives you headaches. There are so many choices to be made and a lot of unknowns. We’re here to simplify the process, make it fun, and guide you effortlessly through from concept to completion. Interior Design veteran, Kat Siketa and Property Marketer / Professional Renovator-for-Profit, Kirsty Ristevski bring you MAYD - where we realise your house is not only your biggest asset, it’s your home. Whether you plan to stay for years or sell sometime soon, it is critical to consider your renovation in terms of the potential value it will add and how much joy it will bring. So let’s do something unique and bring a sense of luxury to your home. Think hotel-inspired BATHROOMS, restaurant-inspired KITCHENS and retail-inspired LIVING SPACES. We'd love to help you. Get in touch hello@mayd.com.au for your free consultation. We provide quality kitchens and other cabinetry all made in Melbourne, on time, on budget – with the customer’s satisfaction as our top priority. We offer alternatives so you can decide what will really excite and work for you – whether you’re in the kitchen, living area, study, bathroom or laundry. We specialise in complete kitchen solutions, with a wide variety of options and materials. Our friendly team is fluent in English, Mandarin and Cantonese 中文. Come visit our showroom or call us today! 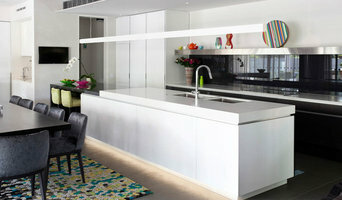 Kitchen Update Interior Design is Melbourne's Award Winning company. We are led by our Senior Designer Allan Aitken who has more than 35 years’ experience in all aspects of interior design, manufacture, installation and styling in both commercial and home renovation projects. Allan’s aesthetically pleasing, practical designs allow his clients to enjoy efficient, expedient use of space in all areas of cabinetry, whether in the study, office, studio, bedroom, laundry or bathroom. But, with Allan’s passion for cooking, it is in the kitchen where his well-honed eye for function and form is most evident in his designs. The Kitchen Update teams' skills, knowledge and craftsmanship are second to none. They can help create a space that is uniquely yours. Our focus is on creating functional and stylish interiors for our clients. We pride ourselves on our collaborative design process, watchful project management and quality workmanship. We are passionate about the satisfaction of our clients and hold ourselves to the highest standards of client communication and involvement. Drop by our Cheltenham showroom or give us a call to find out how we can create a space you and your family will love for many years to come. Specialising in custom design services for spatial solutions for residential homes and apartments in Melbourne. We tailor each project to the individual, for kitchens, bathrooms, and living areas. We like to think outside the square and offer guidance and practical but beautiful ideas to all projects whether big or small. Select Kitchens’ award-winning designers are the key to the great results we are able to achieve – especially when it comes to our tailor-made custom kitchen designs. At Select Kitchens, we believe there’s nothing more important than listening to our clients. Our team knows how to listen & gain an understanding of your lifestyle and the unique way your family lives. Focusing on designing kitchens that complement your lifestyle and service your needs, our custom kitchen designers are committed to turning your vision into reality. Storage, aesthetics, colour scheme and functionality are just some of the aspects we concentrate on in our custom design strategy. Working from an initial brief supplied by you, we design a concept tailored just for you. We bring you into the conversation, drawing on your personal input to hone in on what will become the finished design. We are also a budget-conscious design service when it’s required, sensitive to your specific financial needs alongside your design preferences. At Select Kitchens we’re a custom-sized, custom-designed and custom-built kitchen service. We’re precise with our work – there’s no filler pieces to fill in the gaps for your walls or appliances. This attention to detail gives us the flexibility to create a truly unique kitchen or bathroom, just for you. Once we have taken our measurements and you’re ready for us to proceed to the next stage, you can come in and see our mocked-up concept design in full 3D on our large screen TV. This way, you can truly see your new kitchen rather than just imagining it. This step allows you to add your final thoughts and preferences to the design. Want higher benches? Select Kitchens makes it possible – but we won’t just make the kickers higher, we’ll maximise all the cabinets and increase your storage capacity too. That’s what we mean when we say that our team takes a holistic approach to custom kitchen design. At Select Kitchens we not only listen to you – we ask the right questions. Once we know what you’re aiming to achieve, our award-winning designers will bring their many years of expertise to the design. They have seen and studied thousands of kitchens, bathrooms, laundry rooms and more, and recognize what works and what doesn’t. With design experience, an amazing range of appliances and the latest ideas, we’ll transform your space into what you imagined. Architecturally designed kitchens, joinery and interiors. Custom made and handcrafted in Melbourne. Kohde is a design-create studio which means we design the project and also have the ability to create, build and install the project giving greater continuity and better efficiency in delivery. We will work with you from start to finish. Kohde's aim is to design considered works that create a sense of place for both the objects they contain and the people which experience them. We take inspiration from nature, with our palette incorporating elements which embody the landscape. We aim to create beautifully handcrafted spaces and objects which are functional and of the highest quality.